Creatine – Increasing Performance or Reducing Recovery? Creatine is nothing new, exciting or even for that matter, man-made as many believe it to be. Okay so technically what you are buying in supplement form IS, but that’s not my point here. It is a non-essential (our body produces it so technically we don’t NEED to ingest it but that is semantics really and cause-dependent) compound of nitrogen containing amino acids l-arginine, glycine and methionine and are naturally produced primarily from the kidneys and liver. Sources of creatine can be from within our own “infrastructure” or can be found in many supplements or supplemental forms, with monohydrate still being THE best, as well as found in yum yum animal meat like poultry, fish, and highest sources from red meat. While most of our bodies creatine can be found in our muscle tissue (95%), it can also be found in the heart (which yes is actually a muscle:p), brain and other tissues. It is known to be a performance enhanching compound to increase strength, endurance in repeated bouts of short burst activities (not marathon, triathalon type of activity) as well as aiding to actually increase hypertrophy with a resistance training program. More recent research has been highlighting the benefits of creatine supplementation for Amyotrophic Lateral Sclerosis (ALS), cancer treatment support (1),disuse atrophy (muscle shrinkage/loss) following injury, improvement in certain mental conditions like schizophrenia (2), dementia,mitochondrial illnesses, muscular dystrophy, and on and on it goes. Hey, are you following a low carbohydrate diet? Even more the reason to creatine-it-up! Keeping performance up, as well as improving your body composition…hells yah homie! Oh, but what about the high amount of sugar you “need” to better shuttle the creatine into your cells? Well don’t you fret you silly fool, several recent studies show sodium does a better job, so there! Now these tidbits sound so peachy-keen and all but why does this post’s title allude to creatine as a negatory on recovery? Well don’t get your unders in a bundle and jump on the hater-ade train of creatine just yet, even AFTER reading what I am about to write. There has been some recent search of the re variety (lol) on the effects of creatine supplementation on levels of oxidative stress in athletes showing that creatine supplementation, despite promoting acute effects on muscle strength improvement, might induce oxidative stress and decreases total antioxidant status of subjects (3). So what does this mean to you? If you are an athlete looking to improve your muscle to fat ratio, increase your power output and strength levels, you SHOULD try supplementing with creatine, as long as you don’t have a pre-existing kidney problem and as long as you drink sufficient water. You may also want to increase your antioxidant intake to minimize the already high levels of cellular damaging free radicals that comes from intense training along with the potential increase from the creatine. This increase can simply come in the form of more fruits and veggies in your diet that you should be consuming to fuel your performance anyways. What kind of creatine is best, monohydrate beats them all but the nitrate variety is promising too. I am not sure if there are even any liquid forms anymore but be clear of any forms of liquid creatine as they are unstable and most likely ALL the waste product creatinine and/or dicyandiamide which is NOT what you want to put in your body. The loading of creatine with high doses for so many days will get your cells saturated faster but may come at gastrointestinal distress and is not necessarily necessary. Sometimes patience is a virtue my friends 😉 You can take the 5 grams per day for a bit longer (something like 2 weeks) but than take some time off, cycling the creatine because once you are saturated, you will pretty much just be having expensive urine :p .
1.Kaptsan A, Odessky A, Osher Y, et al. Lack of efficacy of 5 grams daily of creatine in schizophrenia: a randomized, double-blind, placebo-controlled trial. J Clin Psychiatry. 2007;68:881-884. 2. Norman K, Stubler D, Baier P, et al. Effects of creatine supplementation on nutritional status, muscle function and quality of life in patients with colorectal cancer-A double blind randomised controlled trial. Clin Nutr. 2006 May 12. 3. Sandro Percário, Sérgio Paulo Domingues, Luiz Felipe Teixeira, Jose Luiz Vieira, Flavio de Vasconcelos, Daiane Marques Ciarrocchi, Eduardo Dias Almeida and Marcelo Conte. 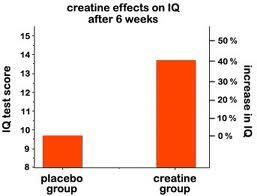 Effects of creatine supplementation on oxidative stress profile of athletes. Journal of the International Society of Sports Nutrition 2012, 9:56 doi:10.1186/1550-2783-9-56. Nice post here, I did a piece on supplements myself a few weeks ago. Im Isaac Hall by the way 🙂 Nice to meet you. I competed in the Daytona Beach Classic in September(BodyBuilding) maybe one day we can collaborate and do a project which will help millions of people. Think about it… Also I will follow you please do the same if you see fit too. Im Isaac Hall, I competed in the Daytona Beach Classic in 2012. I hope to hear from you.